Collaborating on a document can be difficult when there are multiple people all working in the same file. People will make changes or edits to part of the document, any others might not even know that anything was changed. This can be difficult to handle, and can often result in a disjointed final product. One way to resolve this issue is to use a commenting system on the document instead. This allows participants to comment on particular document elements without affecting the actual document body. 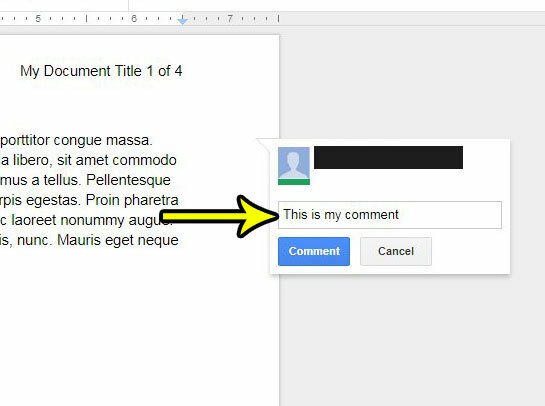 Our tutorial below will show you how to insert a comment in Google Docs. 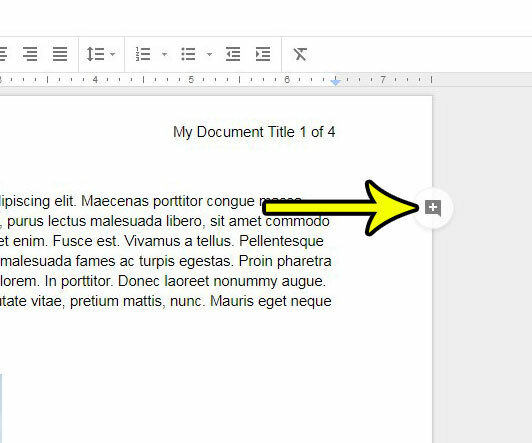 The steps in this article assume that you have a Google Docs file to which you want to add a column. The comment exists outside of the document body, so it will not affect the layout of the document. Other people with access to the document will be able to view and respond to your comment, making this an excellent tool for collaboration. Step 1: Sign into your Google Drive at https://drive.google.com/drive/my-drive and double-click the file to which you want to add a comment. Step 2: Click inside the document at the point where you want to add the comment. Alternatively select a word or phrase in the document to which you want to add the comment. Step 3: Click the Add a comment button at the right side of the document. If you do not see the Add a comment button at the side of the document, then you can click it in the toolbar above the document body. Step 4: Type your comment into the field at the center of the comment window, then click the blue Comment button when you are done. The comment should now be visible along the side of the document. Would part of your document be better if people could click on it to open a Web page? 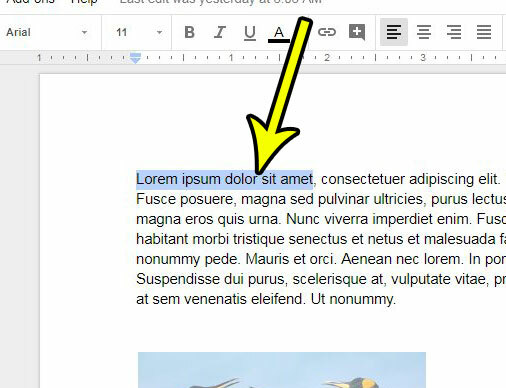 Find out how to add a hyperlink to a document in Google Docs and link your readers to a relevant page on the Internet.